Is there ever a time when our second choice is better than first choice? It doesn’t seem possible. Logic demands that our first choice is always better than our second choice. Except when it isn’t. 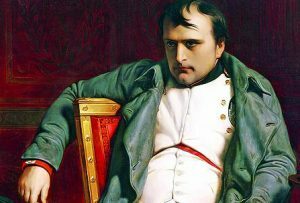 Napoleon Bonaparte was getting ready to invade Russia. He called in one of his generals and told him that he wanted trees planted along side the road all the way to Moscow. His desire was that his soldiers be able to march in shade. Planting trees twenty years ago was Napoleon’s first choice. His second choice was beginning immediately. Your first choice for starting a retirement program was twenty years ago. Your first choice for really taking control of your health was twenty years ago. Nurturing a relationship: twenty years ago. Starting a business: twenty years ago. Continuing your education: twenty years ago. Unfortunately, our first choice isn’t available to us. Our second choice is to take action today! Do yourself a favor. Exercise your second choice. TODAY! Twenty years from now, you’ll be so glad that you did.